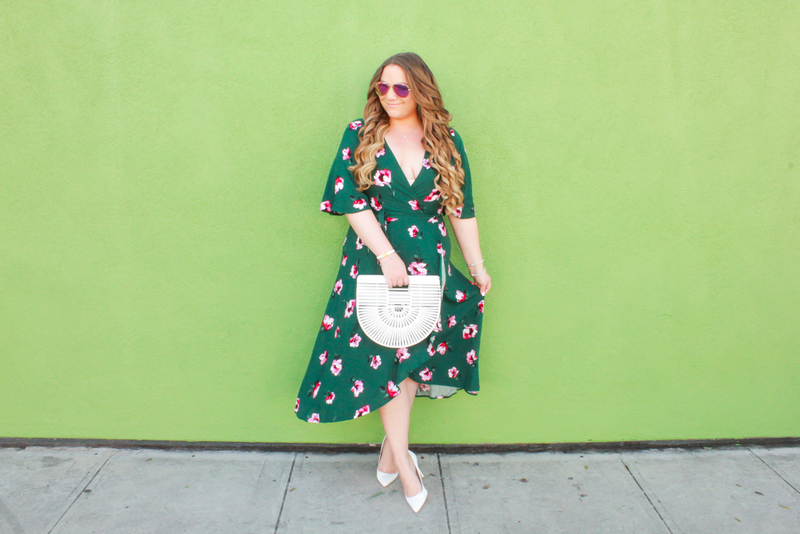 Crazy to think Easter is just a few weeks away + that means tons of floral moments, pastel pieces + a jolly attitude! 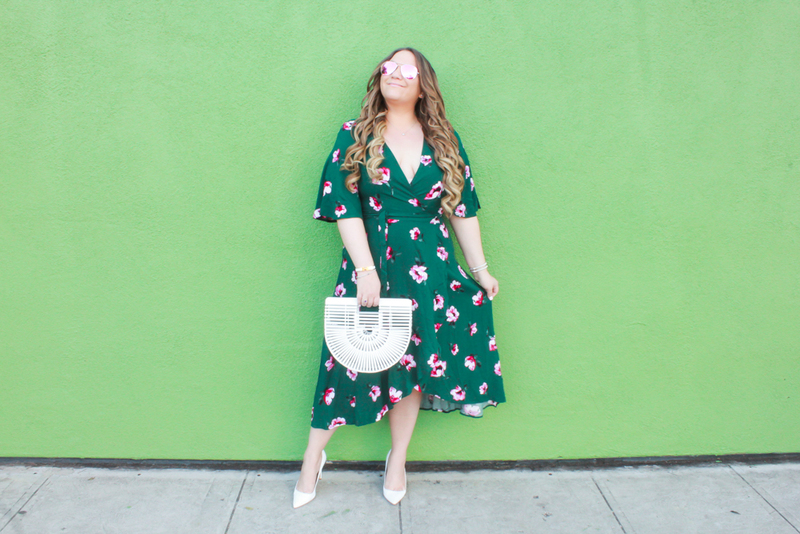 One of my go to dresses for the occasion is this green floral wrap dress from Bobeau. 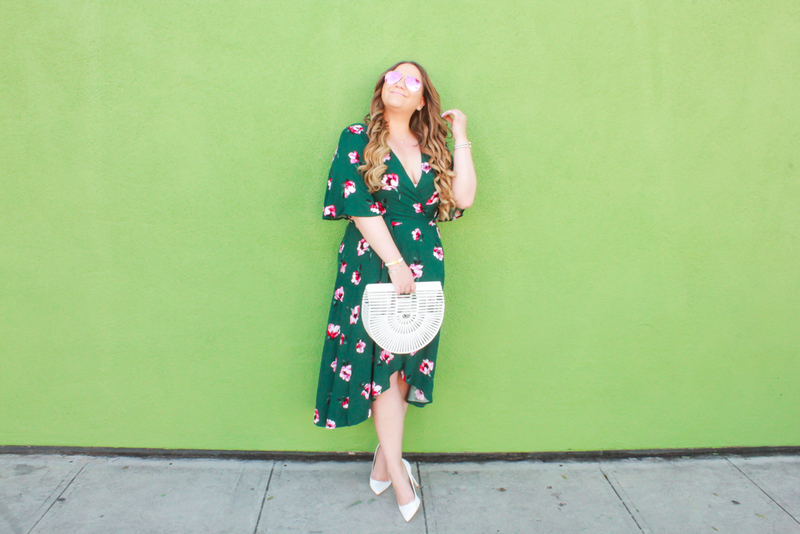 I love a classic wrap dress not just because of the amazing fit but because it is such a classic style that is chic + dressy for any occasion, especially holidays + family gatherings. 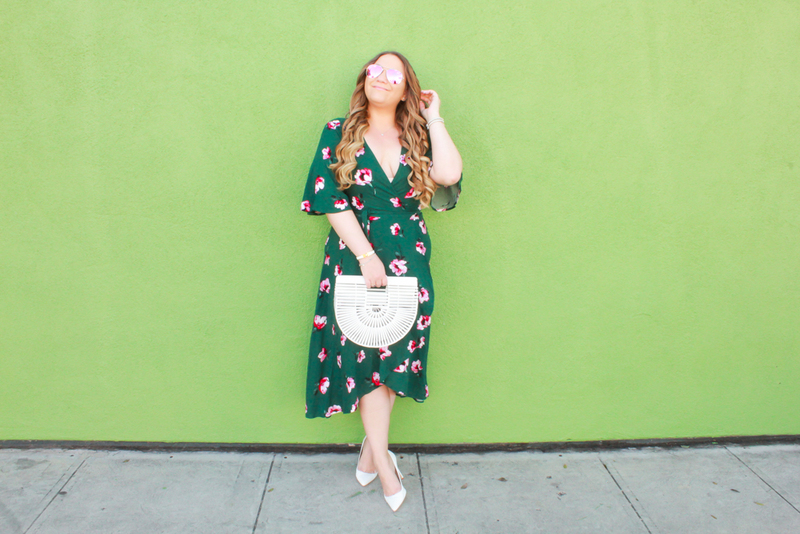 When it comes to get togethers with family I like to dress stylish but also a bit more conservative so this Bobeau dress is going to be my go to for hiding Easter eggs + enjoying a yummy feast! Bobeau truly has the cutest styles. I love that they are comfy + cute and also come at an affordable price point available at a bunch of retailers including my forever favorite, Nordstrom. 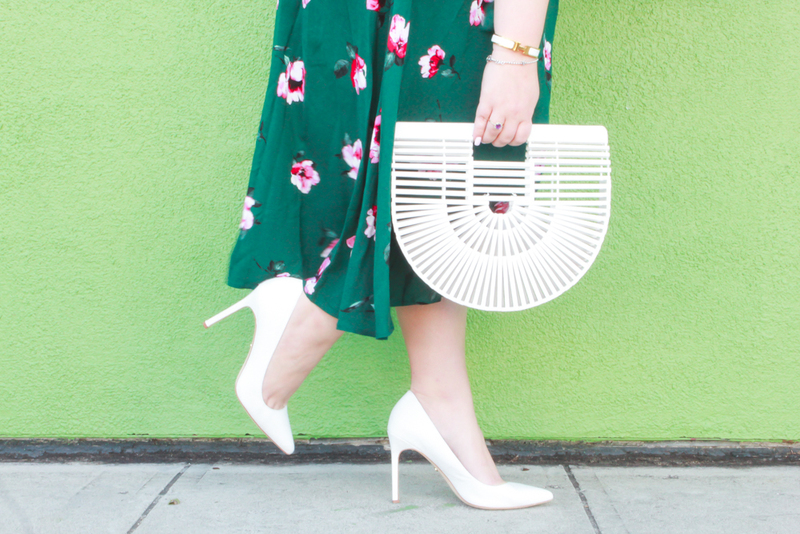 I styled this dress with classic white pointed toe pumps paired with one of my spring into summer staples, the white ark bag. 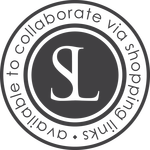 I am linking to some of my favorites below which I highly recommend investing in. These pieces are ones you can style various ways throughout the spring into summer + they are classics that will be in style for years to come.